COMMENTS : Gorgeous! Love the cut and sleek silhouette. COMMENTS : Expensive and very masculine in style. Just not my taste. I want a blazer that is more feminine in style and color. COMMENTS : Like the sleek cut but agree it needs to be more feminine. Would look better if in a bright colour. 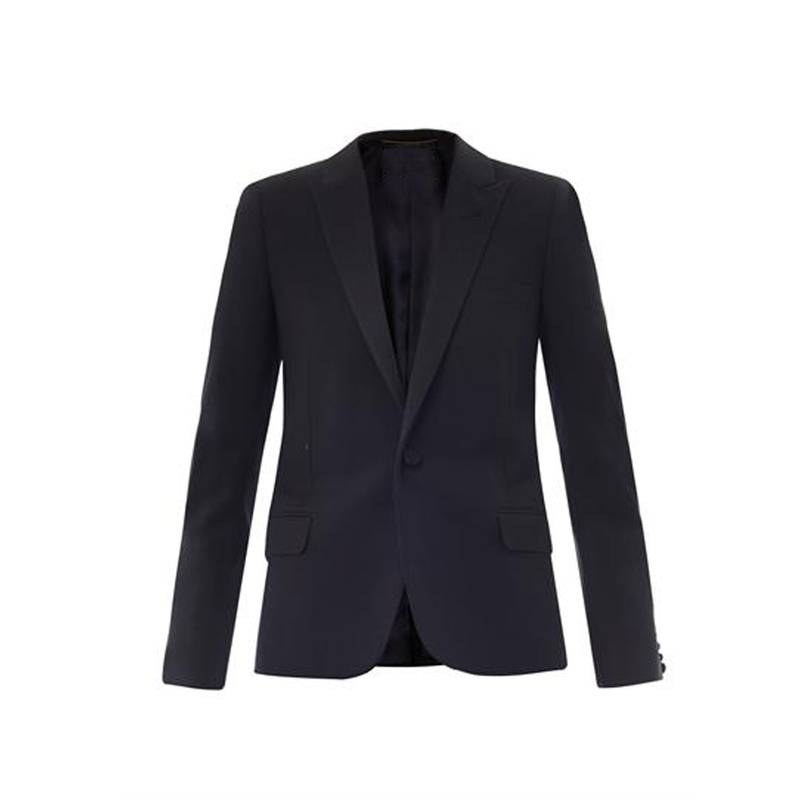 COMMENTS : I love the look of this flattering navy blazer and have been desparate to find one that is not too long on the body for me. Its a classic staple so its essential to fit well.. COMMENTS : This doesn't look feminine enough for me. COMMENTS : It seems to lack the feminine touch. A long styled jacket is a good idea but i feel it needs to be close around the waist and have wide lapels. COMMENTS : agree with Suzanne, this is a bit masculine for me. COMMENTS : I think this could be quite a classic piece by just changing the arm length to three quarters, which would give a fitted yet "boyfriend" look.